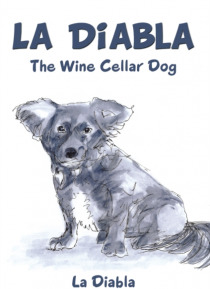 La Diabla, rescued by a local businessman and his wife, finds a loving home and fulfilling career as hostess of the Old Town Wine Cellar. This is the story of how she wandered away from the Wine Cellar one evening during a wine tasting event. Suffering from a case of Followshernoseitis she gets lost and spends the next 13 months traveling with a homeless gentleman. He takes her under his wing,… feeding and caring for her while they traveled across the desert to Quartzsite. Read how she meets and greets the fascinating animals who roam the desert, the various snowbirds who frequent the desert in the winter, and eventually finds her way home.